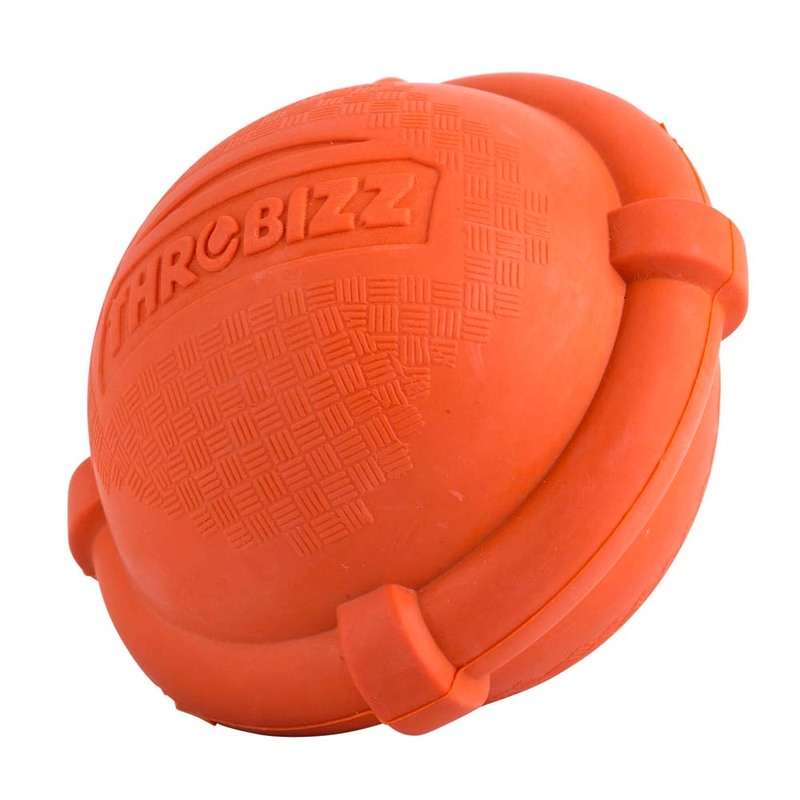 Unlike most ball throwers Throbizz™ is the only ball launcher to pick up many size and shape balls. 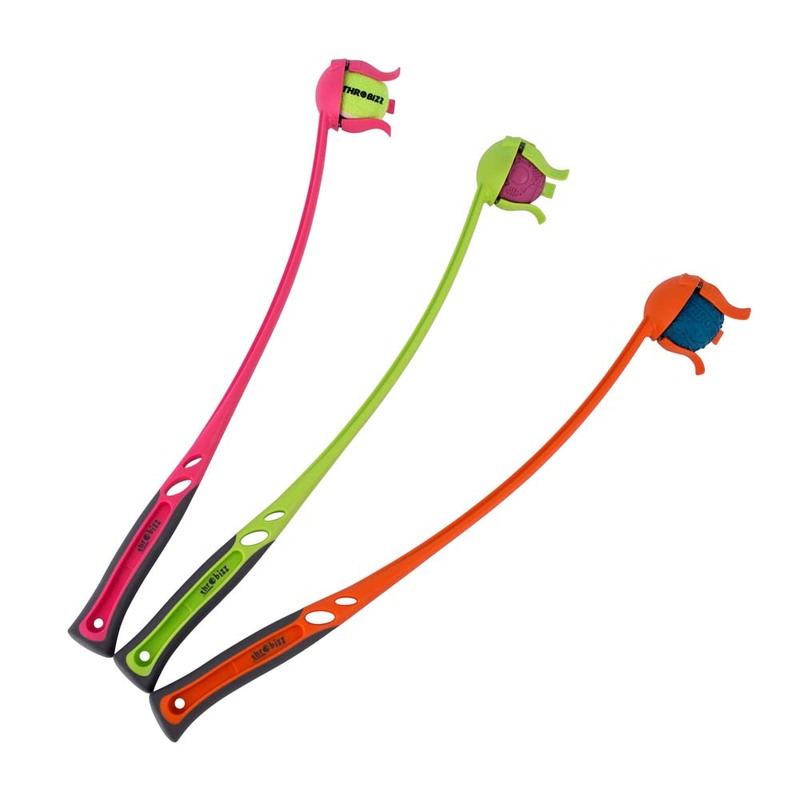 It has a granted patent due to its unique flexible fingers and anti-lofting design. 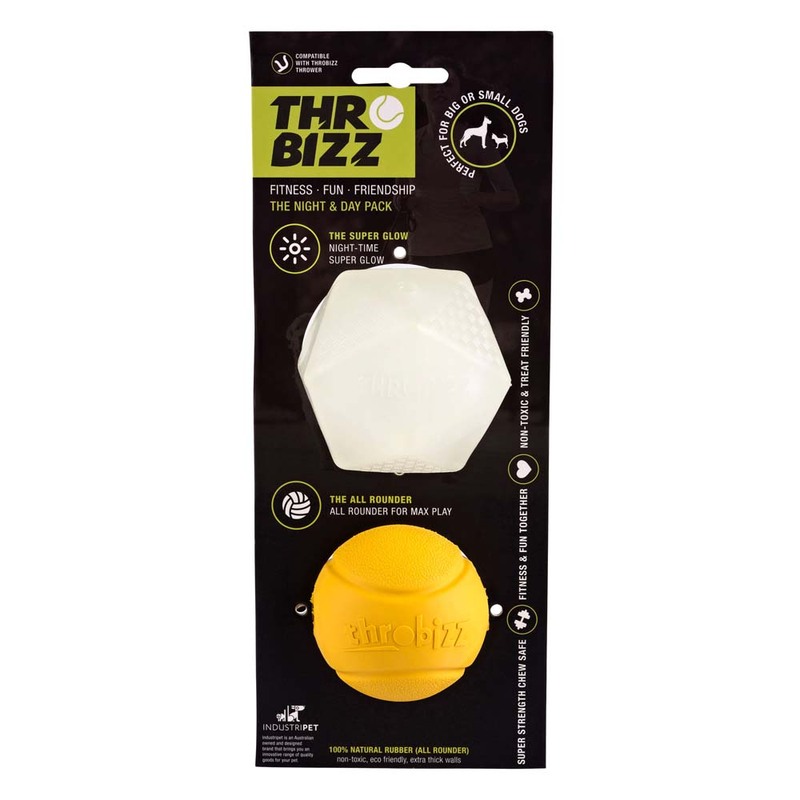 Throbizz™ launches balls forward and further. 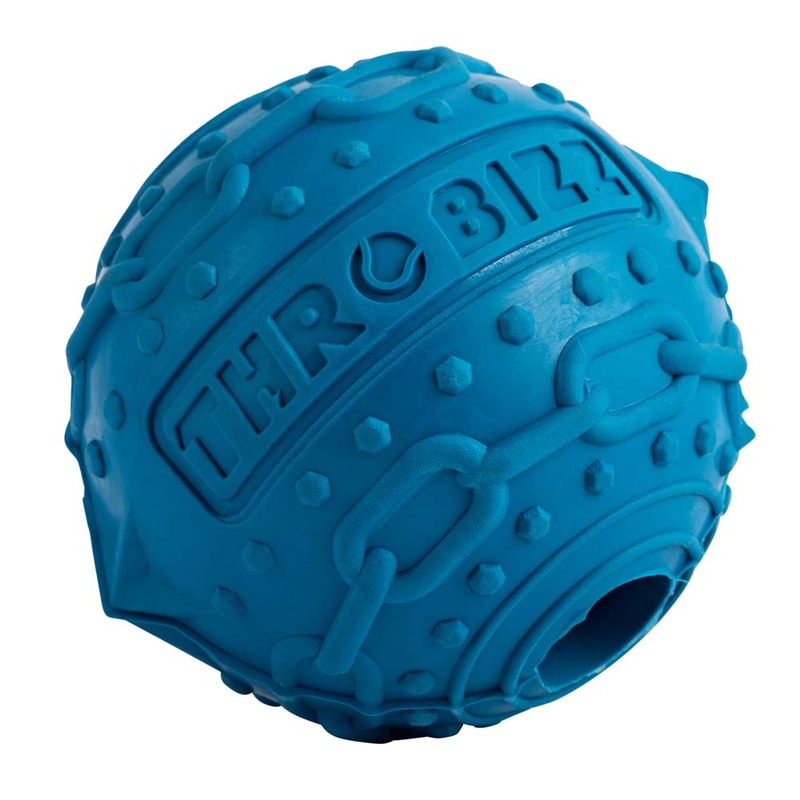 All our pet balls (except Super Glow - tough TPR) are made from strong, chew-safe, non-toxic natural rubber. This makes them tough enough for chew-loving breeds, like Staffies. 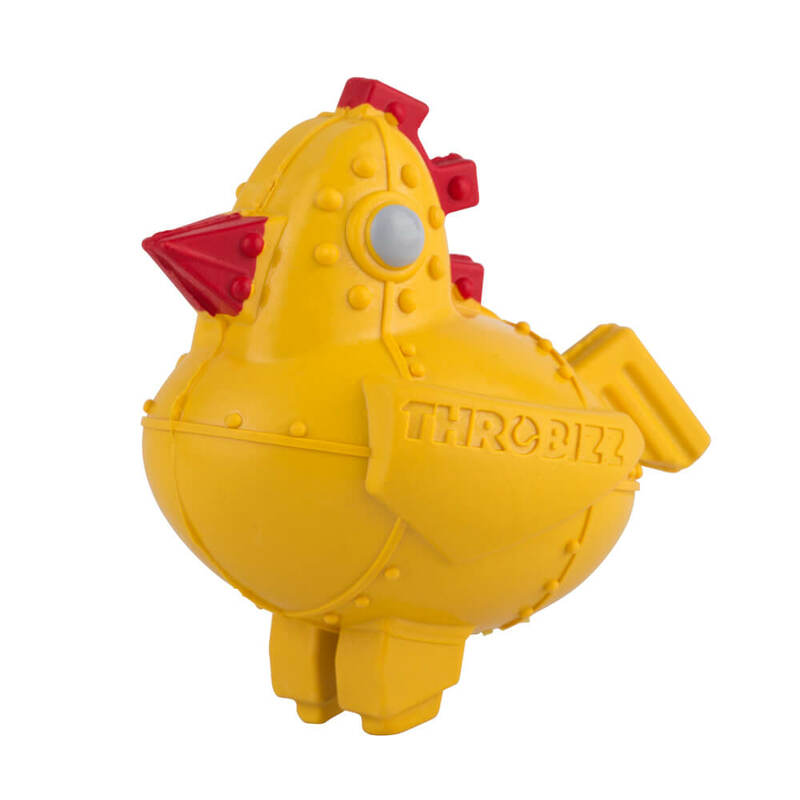 The great thing is - all our balls are compatible with our Thrower. 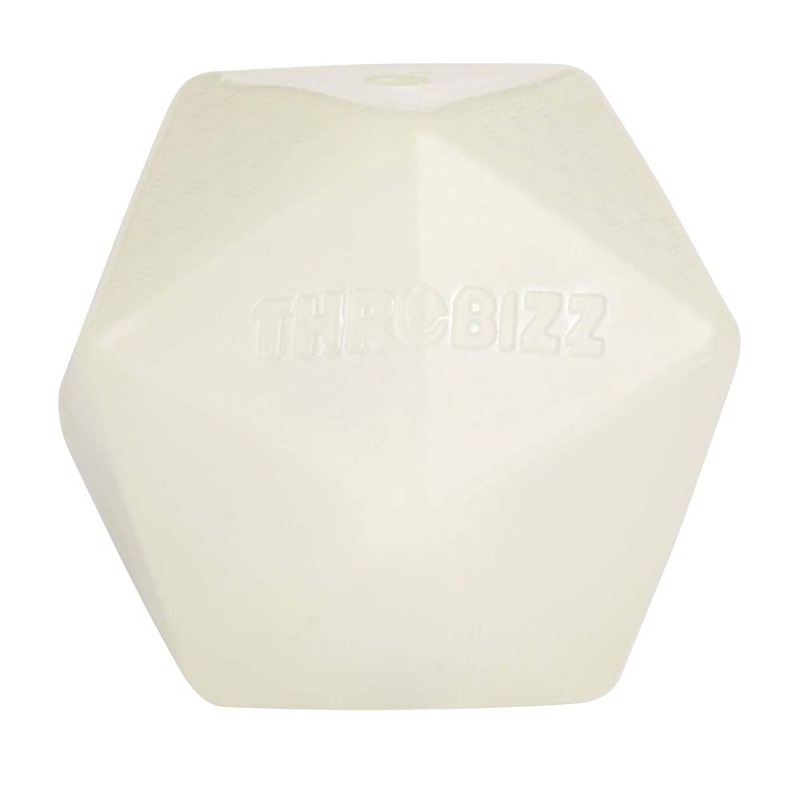 Throbizz is a registered trademark has a granted patent.